This Charlie Appleby-trained three-year-old broke his duck with an impressive victory on the July course at the height of summer. A Racing Post Rating of 93 for that debut was pretty high and Al Hilalee duly stepped up on the performance when just holding on in a three-way photo from fellow British raiders Duke Of Hazzard and Great Scot in a Deauville Listed contest in August. The trainer had been thinking in terms of the Vertem Futurity at Doncaster before that, so there may have been a problem or he might just have decided he wasn’t quite up to it at that stage of his career. He hasn’t been seen on a racecourse since but, given his pedigree (by Dubawi out of a Group 1-winning dam), he ought to progress with a further step up in trip this term. I like the profile of this colt. He is by Mark Johnston’s teak-tough Universal and, while that hardly makes him a horse with a fashionable pedigree, the fact he managed to win two of his three starts as a juvenile, all from September onwards, is surely a good sign. Universal didn’t hit his peak until he was four, so you would hope there is more improvement to come and Desert Friend starts life looking very temptingly handicapped off a mark of 83 following his debut success at Leicester and second victory at Kempton in October. Given his pedigree, he certainly ought to be improving for a step up to 1m2f and 1m4f this season and I’ll be disappointed if he isn’t at least a stone better than his mark by the end of the campaign. This colt was called a slow learner by Joseph O’Brien last season and that certainly looked to be the case as it took him three runs to get off the mark. He did show huge improvement to score, though, slamming his rivals by four lengths and more at the Curragh. That probably wasn’t much of a race, but just a couple of weeks later Dom Carlos was sent out to contest the Windsor Castle at Royal Ascot, a race which turned out to be surprisingly good. He was a massive eyecatcher as he was miles behind at halfway and must have had the best part of 20 horses to pass during the final furlong. He got past most of them, though, finishing third to Soldier’s Call. He didn’t race again last season, but hopefully there is nothing wrong as he looks the type to improve again and I’d be interested to see him back at Royal Ascot in the Commonwealth Cup or the Jersey Stakes, a race won by his sire Gale Force Ten. 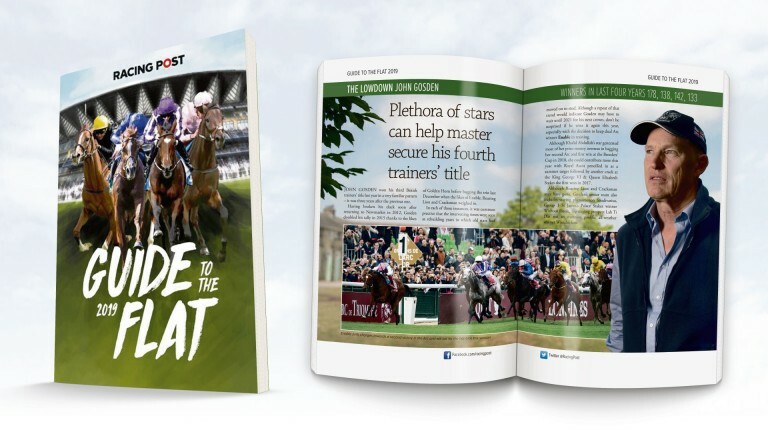 The horse everyone wants to see from the John Gosden yard in 2019 is undoubtedly Too Darn Hot – but there will surely be more than one three-year-old star in the powerful Newmarket stable this season. Dubai Warrior might well be one of them as he looked a bit special when scorching clear to win on his debut by four and a half lengths at Chelmsford in November. That was only a lowly novice contest, but Dubai Warrior won with any amount in hand and the five-length third is now rated 77 and the eight-length fourth will probably be rated higher after winning his maiden by eight lengths next time – he earned a Racing Post Rating of 86. Gosden has introduced some top-class performers in all-weather maidens in the last two months of the year – the likes of Enable, Jack Hobbs and Without Parole spring to mind – and Dubai Warrior has the potential to develop into a serious Derby contender. He has a long way to go before he can seriously be considered for that and early quotes of 16-1 are hardly giving anything away, but he is by Dansili out of a mare who won at Grade 1 level in South Africa and Grade 2 in Dubai, latterly when trained by William Haggas. Dubai Warrior’s brother Mootasadir is an all-weather specialist, who has won all four starts on artificial surfaces (including a Group 3) but hasn’t run well in two on turf, so he’ll have that to prove. This William Haggas-trained daughter of Frankel is one from one having won her maiden at Yarmouth in October. She opened up at odds-on that day (drifted to 5-4) so was clearly expected to win, but ran a bit green and keen and just got up to win only in the last strides. Given Frankel’s progeny all seem to stay well and she is by a filly who won the 1m4f Galtres Stakes on only her fourth start (three wins), there is every chance Frankellina is going to need all of 1m4f in time. She has an Irish Oaks entry, and although it’s a long way from running an RPR of 77 on her debut and becoming a Group 1 performer, there is every reason to hope this filly will prove well above average this season. 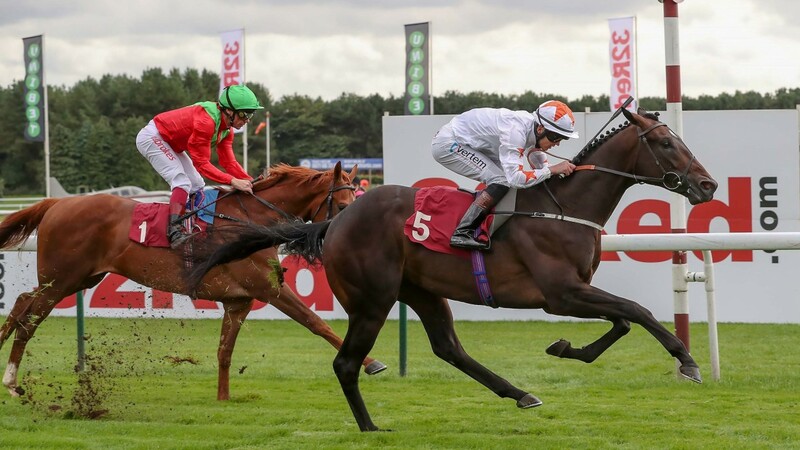 James Fanshawe does really well with sprinters and this one is from a family he knows well as he is a brother to Mazzini (who has finally developed into a classy sprinter over the last few months) and out of Firenze, whom Fanshawe trained to win at Listed level in 2006-07. There isn’t too much to say about him at this point as he has raced just twice, finishing only fifth of seven at Yarmouth last May, recording a Racing Post Rating of 68, before finishing second on his return at Kempton last month. However, he was clearly very green on debut and did stay on nicely at the end to be beaten about five lengths by Emblazoned, who two starts later finished a close third in the Commonwealth Cup. The family is one that tends to improve with age and we can be sure Fanshawe will get the best out of this late-maturing four-year-old at some point this term. Karl Burke has had some high-class performers go through his hands – the most obvious being five-time Group 1-winning filly Laurens – and he seemed in no doubt last season that Kadar was a horse with a big future. Unfortunately, we only got to see him once when he overturned a Gosden hotpot on his debut at Haydock in September. That race arguably looked better on paper than it subsequently turned out to be, but Burke said he would have no hesitation going to the 2,000 Guineas as he thinks the colt would be competitive. That is high praise indeed, but Kadar was twice a non-runner from Group races in the autumn (Royal Lodge, Autumn Stakes, I backed him ante-post for both!) as the ground was considered too fast so he is short on experience. However, all being well with fitness and ground, we can expect him to start in a trial this spring and it will be interesting to see if he turns out as good as his trainer is hoping. 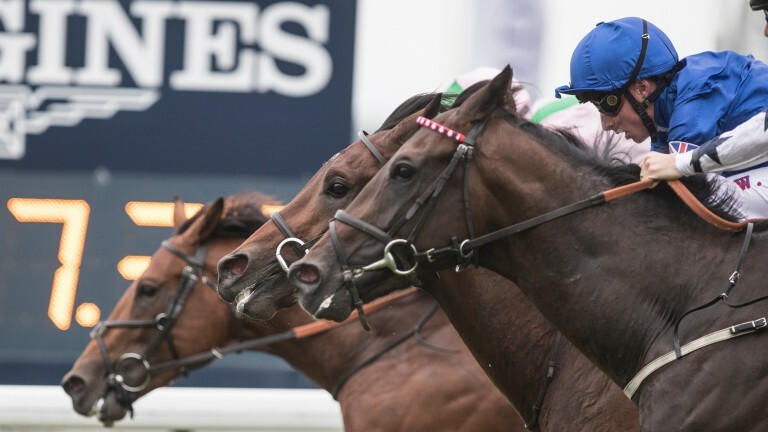 Mark Johnston has never been afraid to run his horses, so you could argue six runs for Nayef Road was a fairly light campaign as a two-year-old, even if he didn’t make his debut until the end of June. He threw in a couple of stinkers, but overall he was a progressive performer, scoring twice and arguably running the best race of his life with a closing third in a Newmarket handicap when upped to 1m2f for the first time. That earned him a rise to a mark of 96, so he is going to need to improve again, but Johnston has won plenty of good handicaps with three-year-olds at the top end of the weights and there is every chance Nayef Road will continue to progress with racing. The Charlie Appleby-trained colt began his career in June on the July course at Newmarket and he was a very impressive winner. Barely a month later he was back there to turn the Group 2 Superlative Stakes into a procession, winning by nearly four lengths. 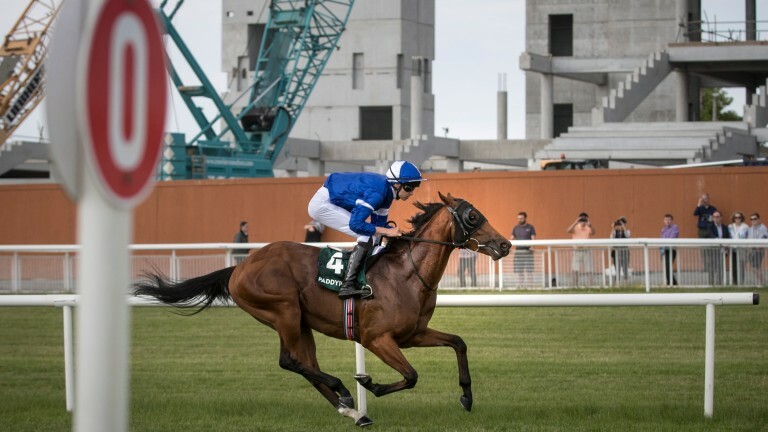 The form of that race is easy enough to crab, but that doesn’t matter when the winner goes on to better things and Quorto did just that when next seen in September, running out a fairly comfortable winner of the Group 1 National Stakes at the Curragh from a quartet of Aidan O’Brien-trained blue bloods. Unfortunately Quorto is set to miss the first half of the campaign and an intended run in the 2,000 Guineas through injury. 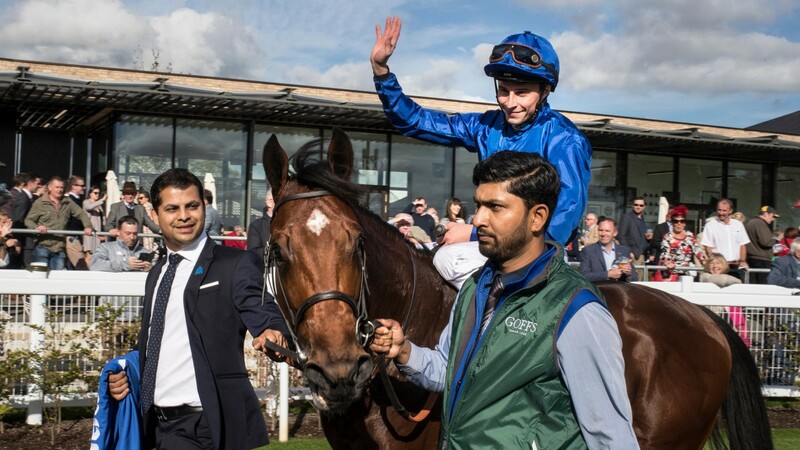 However, he is likely to return to action later in the season for Appleby, who has been winning Group races all over the world and has proved he is one of the best trainers in Britain with a team to match his ambitions. Quorto’s dam is a granddaughter of a Prix du Cadran winner, so there is some hope for more distance, but he’s not in the Derby (is in the Irish Derby) and a mile to 1m2f will probably be his trip. Rock Eagle looked a horse of some potential when winning on his debut in a three-year-old novice contest from the previously experienced and now 109-rated Fajjaj at Windsor in April. Although he was getting 7lb from the runner-up, he ran green and was still well on top at the end. It was a bit disappointing he couldn’t improve too much from that when beaten in a photo next time at Salisbury, and another Windsor success at odds of 1-4 hardly told us anything new. However, he was then a good fourth in a valuable handicap at Glorious Goodwood before closing his season with a win in the very valuable Old Rowley Cup Handicap over 1m4f at Newmarket, a race in which he was heavily backed into 3-1 favourite. Trainer Ralph Beckett believes the colt will develop into a decent stayer this season with the Ebor already being mentioned. After just five runs there should be a lot more to come. Backward filly who didn’t make her debut until July last year at the age of three when winning a Newmarket novice contest in comfortable fashion. We didn’t really learn anything more about her when she won another novice at Chelmsford next time as it was a four-runner contest and she was 1-25, but her final third in Listed company at Saint-Cloud at least confirmed she could compete against decent rivals. Trainer’s wife Maureen Haggas reckons she would “be a nice filly next year” when stepping up in trip from a mile could be an option. Given her connections it will be disappointing if this half-sister to globetrotting Sheikhzayedroad doesn’t further enhance her paddock value as a four-year-old. William Haggas was always wary the Derby might come a bit too soon in his colt’s career – and after he finished midfield in the Epsom Classic the trainer backed off him until the autumn. That strategy certainly paid off as he finished the campaign with a pair of wins at Newbury, first short-heading Mirage Dancer over 1m3f and then dead-heating with Morando over 1m4f. It might be that we see him drop to 1m2f this year, but the key to Young Rascal is almost certainly the ground so Haggas will be looking to see more rain this year than last. The four-year-old has the potential to be a player in decent Group company, perhaps even the highest level, and he really ought to be more of a man this year.